Gates utilize 1” square, 16-gauge tubing and features radius corners for added safety. 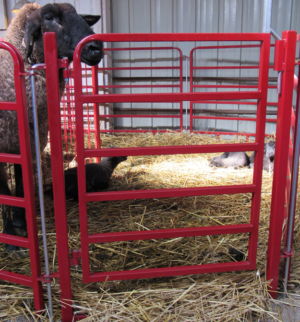 Gates are in a 1 1/2” square, 11 gauge tubing frame that is capped at the same height as the gate. Gates are available in two heights with the 40” tall gates having six bars; the taller 48” panels having seven bars. The option to add the Solid Bottom feature to our “U” Frame is available for $25 more per gate.